It’s that CES time of year again and there have been several interesting announcements related to solid state storage technology. All of the storage giants including Intel, Samsung, SanDisk (WD), Seagate and Toshiba – but also Gigabyte – have taken the lid off some new or upcoming products. CES in January each year is usually the most important time for tech announcements and 2019 has been no exception. Most major manufacturers have announced road maps or new storage devices for imminent release. Here’s our summary of the key storage announcements at CES 2019. Unsurprisingly, Intel keeps improving on its Optane lineup. 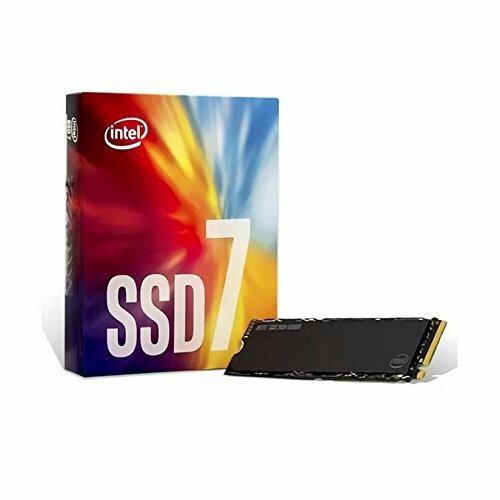 As you may know, Optane SSDs such as the 800P do not rely on conventional NAND Flash memory (like every other SSD). Instead, they are equipped with Intel’s proprietary 3D XPoint chips. However, 3D XPoint-based drives are so far much more expensive than others based on cost-effective TLC (triple-level cell) NAND. Now Intel wants to unite the best of both worlds with the H10 – a hybrid SSD that combines an Optane/3D XPoint cache with what’s currently the least durable and inexpensive memory type: QLC (quad-level cell) NAND flash memory. 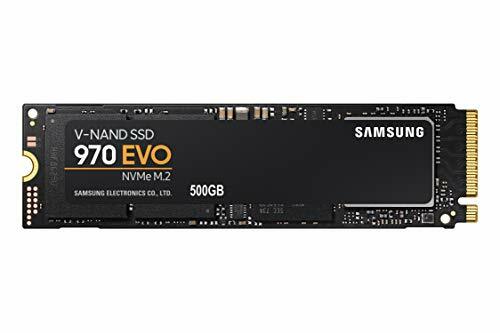 This type of cheap memory has only recently seen the light of day in entry-level SSDs such as Samsung’s new 860 QVO. With the H10, Intel of course intends to bridge the gap between high-end and low-end chips by using 3D XPoint as cache memory, much like current M.2 TLC-based drives like the 970 EVO uses an SLC (single-level cell) cache to improve write performance. Sadly, there’s no info available yet in the way of performance specifications. What we do know is the interface and form factor: PCIe 3.0 x2/M.2. Also, they will be using a driver solution (Intel RST, Rapid Storage Technology) to combine the two drives, but they will act as a single drive. Toshiba announced the BG4 SSD – a single-chip BGA (Ball-Grid Array) drive with up to 1 TB of storage utilizing the M.2 2230 form factor, meaning it’s just 30 mm long. This is accomplished using Toshiba’s new 96-layer 3D BiCS TLC NAND (up from 64 layers). The BG4 replaces its predecessor the BG3 and is available in 128 GB, 256 GB, 512 GB and 1 TB capacities. It uses the NVMe PCIe 3.0 x4 interface, resulting in sequential read/write speeds of 2,250/1,700 MB/s, respectively. As the form factor implies, the BG4 is intended for embedded devices. There’s no DRAM caching, only the NVMe Host Memory Buffer (HMB). Another storage giant, Seagate, announced the IronWolf 110 SATA SSD lineup, which is intended for NAS (Network-Attached Storage) use. While most recent developments have been in NVMe M.2 SSDs, the old SATA interface is still alive and kicking in many areas. That includes NAS products, where SSD all-flash arrays are becoming an increasingly popular alternative. IronWolf 110 SSDs will be available in the capacities 240 GB, 480 GB, 960 GB, 1.92 TB and 3.84 TB. All of them use 3D TLC NAND, but still offer an endurance rating of one drive write per day, or DWPD. The new IronWolf series is expected to be available by the end of January. SanDisk (now owned by Western Digital) introduced a new line of SanDisk Extreme PRO in an external form factor, using either USB-A or USB-C 3.1 Gen 2 to connect to the host. The drive use an NVMe-USB bridge internally, which allows for up to 1 GB/s transfer rates. The Extreme PRO has much in common with the somewhat less advanced Extreme (non-PRO) lineup that uses a slower SATA-USB bridge. Another improvement in the new model is an aluminium shell that supposedly offers better thermal management. SanDisk’s Extreme PRO Portable SSD will be available in 512 GB, 1 TB, and 2 TB capacities. A somewhat less likely storage announcement came from gaming hardware manufacturer Gigabyte, which announced a new 512 GB Aorus M.2 NVMe SSD based on Toshiba TLC NAND and a Phison controller. Gigabyte does not disclose what Phison controller it uses, but if it’s the Phison E12, the drive will have much in common with the MyDigitalSSD BPX Pro, which also uses Toshiba NAND. Like many competitors, the Aorus drive runs over the PCIe interface using NVMe 1.3.